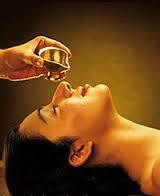 Some people wrongly think that purva karma procedures like massage are panchakarma. But its only a small part of the bigger picture as we are going to see. 2 Pradhana Karma means the main procedures. It is a group of five procedures. Pradhan karmas are popularly known as Panchakarma but in the real sense Panchakarma includes all the procedures at all the three stages . 3 Paschata karma are post therapeutic measures. They are composed primarily of Sansarjana karmas or dietetics. Himveda - Himachal Ayurvedic Hospital envisions practicing Ayurveda in its purest form. Only facility in this region providing facilites for Ayurveda, Yoga, Meditation all under one roof.